Mattel has spoken about their plans for an even more expansive Thomas & Friends brand later this new year. The toy giant who were appointed the new owners of Hit Entertainment in October 2011 have been talking to The New York Times over what to expect from the brand through 2013.
International Licensing Industry Merchandisers' Association alumni, Marty Brochstein said; An established brand like Thomas helps Mattel in the extraordinarily competitive preschool market. It is much more expensive and tenuous to try and create a franchise from scratch. Plans for a refurb in merchandise and marketing are under way with four apps, a new website and more Day Out with Thomas being promised. Head of Hit Global Brands, Shari Donnenfeld shares more; When you are successful for as long as Thomas has been, you can become part of the woodwork. We need to reinforce the brand by reminding people why they love it and introducing new content. Over the questions as to what newer TV series' shall bring, Executive Vice-President of Mattel, David Allmark has pledged for a change; Innocent, sweet life lessons. Faster storytelling. Some of it needs livening up a little bit. The article also teases a release date for the King of the Railway movie, apparent to appear on DVD and in cinemas for spring. An incorrect paragraph states that three more seasons of the show will be produced. However, CGI makers Arc Productions and Hit are currently contracted to make the new special with two seasons following. 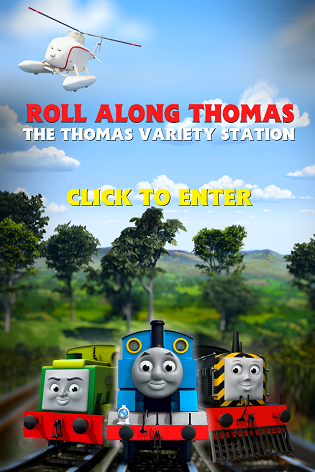 In December last year, a makeover for the Day Out with Thomas events was announced for the UK in a press release by Licensing.biz. Has Mattel reassured you that there is light at the end of the tunnel for Thomas or do you still see the brand in a dark place? Send in your thoughts in the comments tab below. King of the Railway in Spring? I'm not too sure, commonly the books have been released before the specials. Plus, I would rather it not be rushed. Then again, I've no idea how long it's been in production already. Although the faster storytelling and life lessons seem promising, I just hope Andrew Brenner doesn't abandon his plans to bring the series back to its roots. Only then will it succeed. "Innocent, sweet life lessons. Faster storytelling. Some of it needs livening up a little bit." That's it; I'm even more sure now that Thomas is saved. But I don't think I like the idea that King of the Railway will be released in Spring. We almost don't get time to be excited for it :P Although I would like season 17 to air in Spring. i just need to see the trailer for the new movie, king of the railway, and who else may appear, other than the new engines, the steam team, jack, etc. How should we know? The full plot is not released yet. Only then will it succeed? It seems to be succeeding now. The article is, however good news, I hope. I'll see it to believe it, after all I do have good hopes that Thomas is saved from being off the rails with what they're saying. As of 'King of The Railway', it seems unlikely it would come around the March - May period after all if the movie was coming out at that time, the trailer would be out and the merchandising for the movie would start as well. Maybe it's the books of the movie, but we better wait and see. However, I will see it to believe the promises made, but I do see that there is a light at the end of the tunnel.